Shihan Julie Alo-Cromwell was born in Englewood, California and began her martial arts training in 1973 at the age of 12 under the instruction of Shihan Ronald Moku Alo. 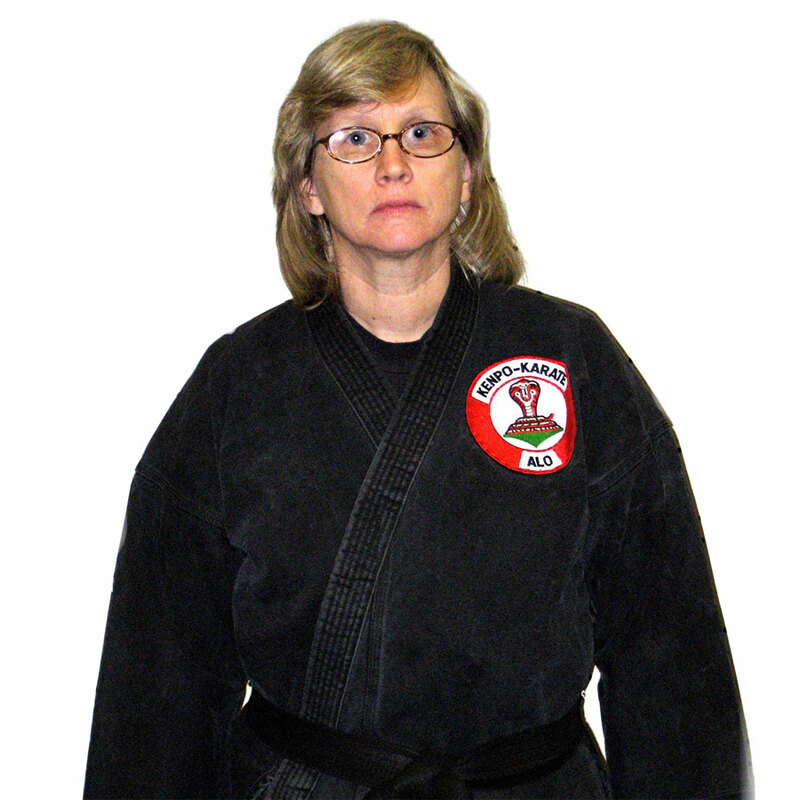 She earned her 1st degree black belt in 1977 and earned subsequent degree black belts during the 80’s. In 1994 the Alo Kenpo Karate Association board of directors ranked her a 7th degree black belt and the master rank (Shihan). She is President and Co founder of AKKA. Shihan Julie Alo-Cromwell also holds the rank of 1st degree black belt in Taiko-ryu Aiki Jujitsu, Okinawa Kobudo and the rank of 5th degree black belt in Laka-Lima Escrima.